Earn reputation badges for contributing and engaging in the community. Sharing knowledge and valuable insights with your peers are mutually rewarding - to grow your skillset and help other members of the community. These badges will help gain status, fame and set you apart from other members of the community. Moreover, they help add more credibility to the content being shared. * As the community evolves, we will be continually refining these badges and point values with or without notice. 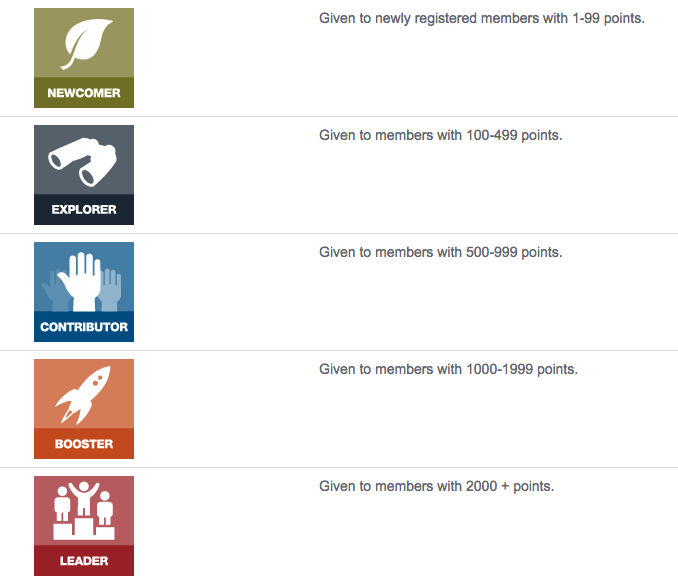 These badges are automatically rewarded as you continue to participate in the community activities and earn points. As your points accrue throughout the lifetime as a member of the community, you'd be assigned the respective badges. The more you contribute to the community the faster you'll be on your way to move up the leaderboard. Lifetime points do not expire. 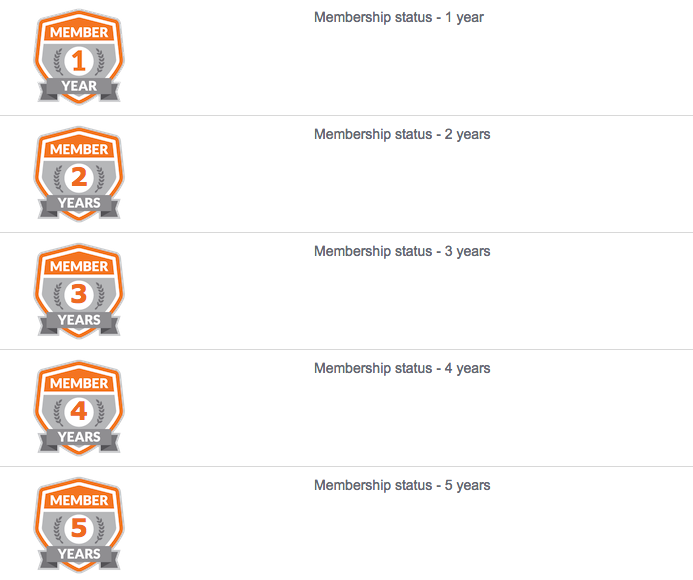 These badges are automatically rewarded as you continue to participate in the community year over year. These badges are automatically rewarded based on your permissions.